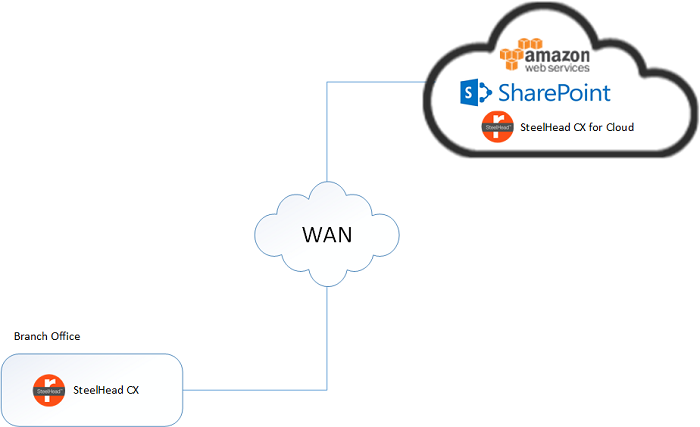 Optimize Your SharePoint Applications in the AWS Cloud with Riverbed! Many enterprises are starting to embrace cloud computing services, migrating data and applications to public cloud environments such as Amazon Web Services (AWS). AWS offers enterprises the ability to maximize flexibility and cost savings of the public cloud with their pay by the sip usage model. And as these enterprises have started down this path, reaping the benefits that come with it, they are finding that the need for application performance management, through WAN optimization and visibility, are all the more critical to their success. They are finding the WAN problems that plague their enterprise’s dedicated wide area network did not go away, but have moved with them to the cloud. What IT managers have come to realize is that network latency and bandwidth constraints can severely impact the performance of their cloud applications just as much as they can those served from the enterprise. A good example of this would be Microsoft SharePoint, which is a very popular application that allows users from around the globe to share documents and information in a collaborative environment. Although SharePoint provides a rich suite of team productivity tools, they do not overcome the limitations that latency, congested pipes, long distances, and variable connections impose on overall application performance. With just one participant working from a remote location, live collaboration on shared documents can quickly become a strain on all participants, even those on the same network as the SharePoint Server. IT managers have realized that just like inconsistent links used by their mobile workers, constantly changing locations, and network latency also make it difficult to alleviate slow file operations and screen refreshes. To use SharePoint as it was intended, it is essential to provide quick document check-in/check-out performance to all team members, regardless of where they are trying to connect from or their distance from the server. Riverbed SteelHead CX for Cloud accelerates the process of migrating data and applications to the cloud and accelerates access to that data from anywhere. SteelHead CX for Cloud optimizes popular applications such as Microsoft SharePoint by up to 19 times and reduces WAN traffic by up to 99%. Riverbed helps improve end-user productivity by removing the unknowns that lurk behind that “cloud” so enterprises can move more of their applications and workloads to AWS faster. SteelHead CX accelerates and optimizes IaaS workloads and SaaS applications. Built for public cloud environments, SteelHead CX for Cloud extends Riverbed’s #1 optimization solution for hybrid enterprises to Infrastructure-as-a-Service (IaaS) clouds. SteelHead CX for Cloud speeds migration to the public cloud and accelerates access for users from virtually any location. SteelHead CX for Cloud delivers the best end user experience across hybrid networks by optimizing application performance for cloud and Software-as-aService (SaaS) applications. The solution helps ensure you can meet application performance SLAs for users no matter where they are located, regardless of network latency and enterprise bandwidth limitations. 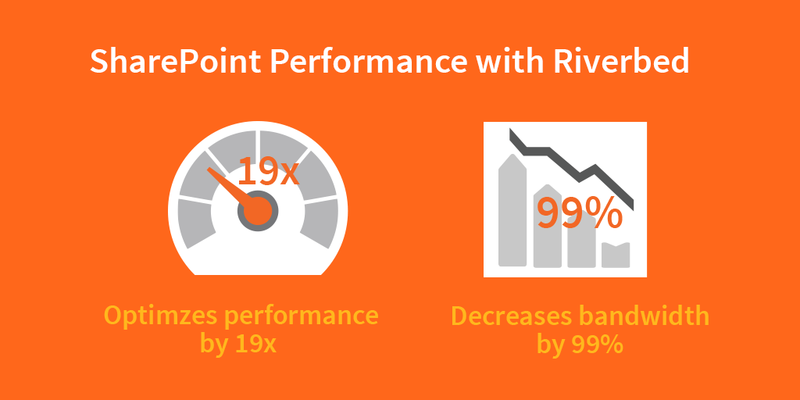 Learn more about how Riverbed can accelerate your applications on AWS.